On large turret lathes there is often a four way tool post. On a capstan lathe the movement of the capstan is limited and a four way toolpost often will clash with the toolpost. However, there is another possibility. If the four way tool post cannot be used with the capstan can it be used without the capstan? The underlying aim is still to produce many parts efficiently. The four way tool post cannot be used for symmetrical tooling in such as drilling ect but can be used for asymmetric tooling such as turning and grooving and, of course, parting off. These assymmetric activities can be done by a four way tool post. 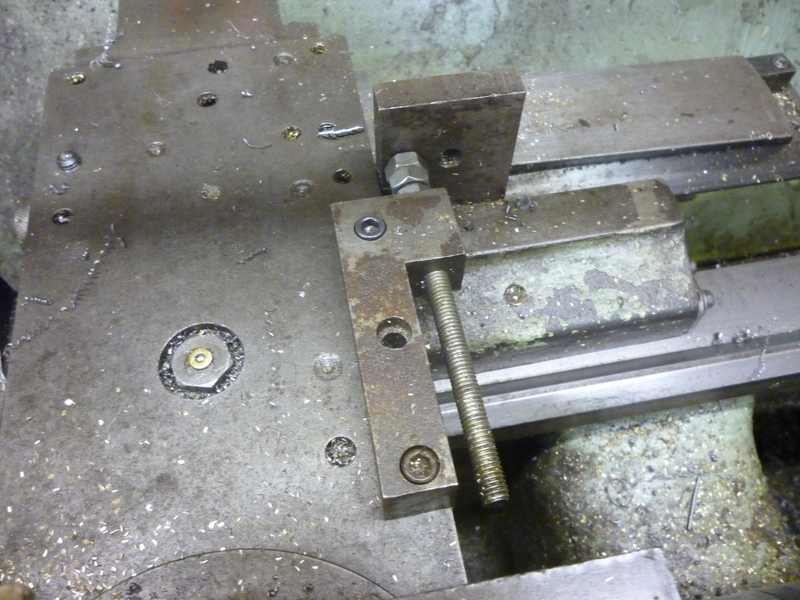 The symmetrical operation are then done using individual tools in the tailstock. For this to work efficiently the tool holding system must be properly indexed so that each operation is always performed in the same way. Furthermore each operation must have its own set of stops. for the tool post to index properly the cutter holding part must rotated about a fixed axis. Each position must be locked in position but even so it must then be bolted tight. 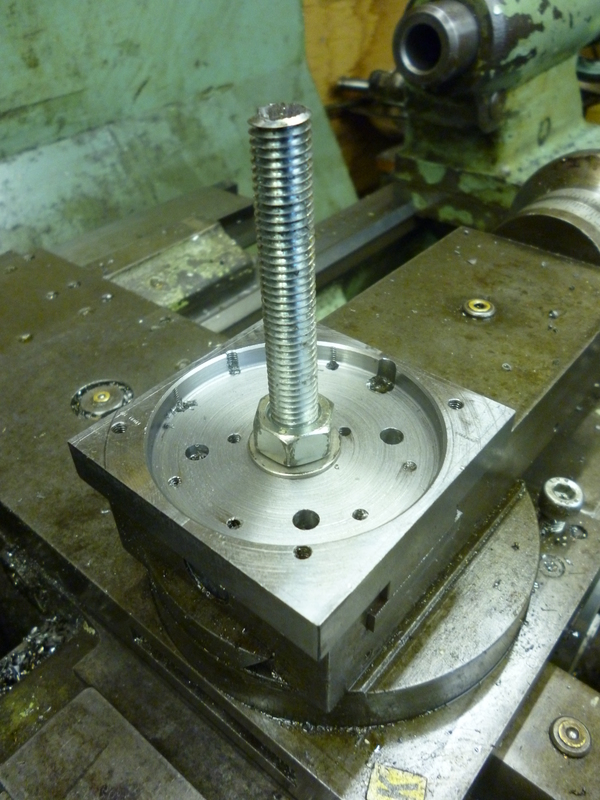 This is done by bolting a base with a round recess in it to the top slide of the lathe. The four way bit then fits onto this. Notice the knurled knob. This can be used to lock the top part onto the base in any one of four positions. The cutting parts are all made of 6mm round pieces of HSS. These are held in a rectangular holder. The rectangular holders are held in the top part by a grub screw and two cap screws. The grubscrew forms a fulcrum for the cutter holder to sit on. This holder is the bolted in position by the two cap screws. This mean the height of the cutting edge can be controlled. The piece of HSS is held in the holder by two grub screws. Movement in the x direction is limited using a stop. This affects all four cutters in the same way. The movement of each individual cutter can be made to be different by the position of the holder in the top part and the position of the piece of HSS in the holder. For each cutter, when it is in position to cut, there is an adjustable stop on the left side of the top part. 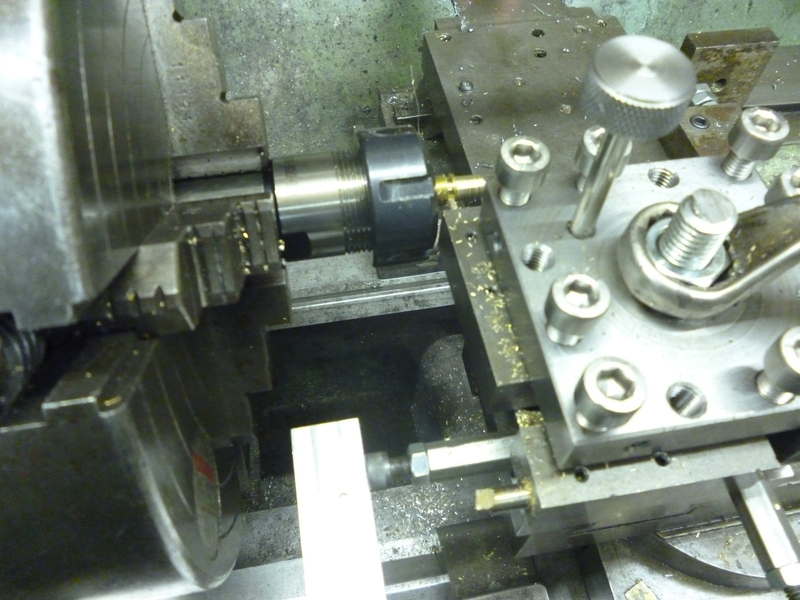 All of these stops when in position hit the fixed stop clamped to the bed of the lathe. This means they are all individually adjustable. notice that the fixed stop is not a point but is a surface so the cutter can move in the x direction of the stop will work for the whole length of the cut.. There is only one stop in the x direction. 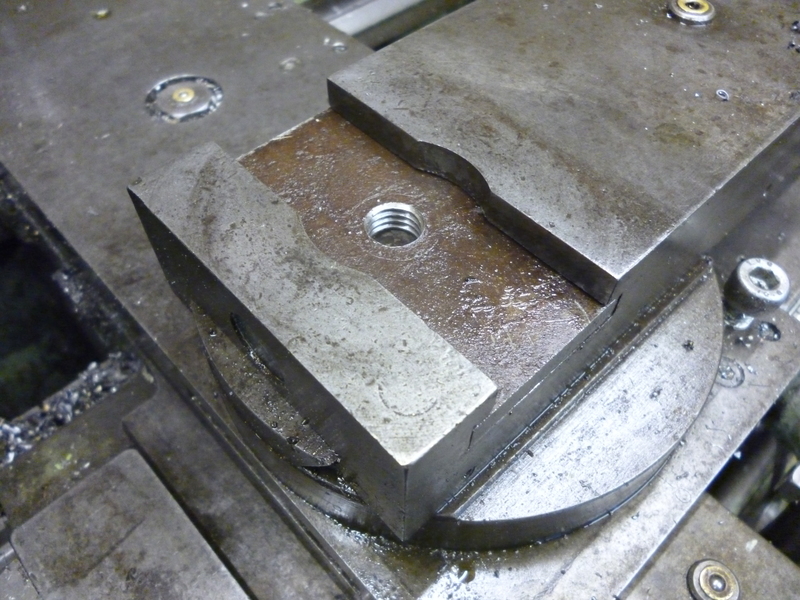 This is part of the standard stop usually used on this lathe. However there is no reason why each cutter cannot be set for when the fourway toolholder is hard up against this one stop. The four way toolholder gets in the way of the capstan. This means up to four operations can be done from the side of the workpiece but only one can be done from the tailstock. But, of course, the tool in the tailstock can be changed manually.